The author considers how greater understanding of the biological mechanisms and, in particular, how the brain regulates the autonomic nervous system and physiological systems can lead to the development of technologies which advance the prevailing biomedical paradigm. In particular he considers the Strannik technology developed by Dr Igor Gennadyevich Grakov and its potential to improve the screening and treatment of medical conditions at significantly lower cost. The ever increasing demand for healthcare challenges governments in an unprecedented manner. If allowed to increase further it threatens global prosperity because, in simple terms, every dollar spent on healthcare is a dollar which cannot be spent elsewhere i.e., the spiralling cost of healthcare is a drain on the world economy which has to be financed from taxation and/or profits. There is a worldwide shortage of doctors. Moreover there are significant shortcomings and limitations of the current healthcare model which is provided by the primary care GP and is supported by a plethora of secondary care specialists . Furthermore there is not a recognised or accepted cause of most common pathologies. Whilst it is recognised that smoking damages lung function and that the consumption of alcoholic and/or acidified beverages, lack of exercise, hyperindulgence, obesity, psychological and/or psychophysiological stress, increases predisposition to pathological onset e.g. of diabetes, cancer(s), alzheimer’s disease, etc; it is not yet accepted that that these issues (with the exception of smoking) are the fundamental cause of pathological onset. Such conditions alter the fundamental nature of the biological environment which enables pathological onset and progression to occur i.e., by increasing the levels of blood glucose and lipids; by introducing foreign toxins; by increasing the prevailing level of intercellular acidity which (i) depletes the body of minerals, vitamins and profactors; and (ii) increases levels of heavy metals which facilitates the onset of free radical reactions and/or other pathological processes. In recognition of the need to stimulate the development of radical innovative technologies which would ultimately lead to better and less expensive ways of screening and/or treating patients the European Commission established the Human Brain Project  and the US government established the Brain Initiative however the fundamental aims and objectives of these projects, in particular the Human Brain Project, was completed in the period 1981-1997-2006 by the brilliant researcher Igor Gennadyevich Grakov (Dr) i.e., before the idea for the Human Brain Project had been perceived by Henry Markram . Grakov completed what has hitherto been regarded as medicine’s ‘holy grail’ i.e., a mathematical model of how the body is regulated  via the autonomic nervous system and physiological systems. 5. That the brain is sustained by the flow of nutrients from the viscera yet it functions as a neuromodulator regulating the stability of the autonomic nervous system and physiological systems [2,8,10,11]. Grakov’s Strannik technology performs two fundamental functions: (i) as a screening technology  which is able to determine the onset and progression of pathologies in all main organs (typically 15 pathologies per organ in the 30 main organs), each pathology being defined in terms of its genotype and its phenotype ; and (ii) to treat the most destabilised physiological system thereby reestablishing optimum autonomic stability and homeostasis . Such a technology is an extraordinary development which initial research has indicated appears to be more advanced than any current technology(s) [12,13]. Grakov’s Strannik technology has the potential to reduce the number of patient consultations and thereby improve the effectiveness of the GP; to reduce the need for patients to see their GP (they can access the technology, do the test, and receive their test results without needing to see their GP); reduce the flow of patients from primary care to secondary care; improve therapeutic outcomes and reduce the need for drugs; reduce the need for blood/fluid samples, syringes, rubber gloves; reduce the need for histopathology testing (in particular to confirm test ‘positives’ and eliminate the tests which yield a negative); reduce the number of journeys to and from the doctor and hence lower vehicle emissions; screen the health of the patient throughout their lives and lead to the proactive introduction of measures to prevent or slow pathological progression. Initial estimates of cost-savings are at a level which is far beyond any current costsaving initiative, typically 15-25% of current total healthcare expenditure. Such a technology would complement the ‘care manager’ model identified by Ciccone et al. although currently covered by the existing primary care model, implemented by the GP, in the UK. Although Strannik has been available since 1997 it has not received an enthusiastic response from the medical profession who, it would be fair to say, have difficulty understanding how a cognitive technique could be so effective and hence regard it with suspicion and/or as pseudoscience. Responses to date include (i) ‘over my dead body’, (ii) ‘do you really think that this will catch on’, (iii) not invented here, (iv) ‘this is not what I entered medicine to practice’, (v) hocus pocus, (vi) snake-oil salesman, (vii) the medical profession is sick of change, (viii) the medical profession would not embrace such a complementary and/or alternative technique. This raises a question: ‘What is the purpose of medicine or medical research?’ Is it to sustain vast numbers of jobs; or to sustain the flow of taxes to the government; or to provide profits for healthcare, medical devices, and pharmaceutical companies; or to enable clinicians or researchers to develop yet another diagnostic test or drug of dubious validity thereby further increasing the complexity of healthcare; or is it to provide a better quality and quantity of life for the ordinary citizen? Ewing GW (2016) The future of medicine: Biomedicine or neuroscience? 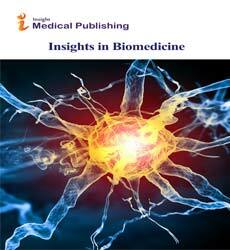 Insights in biomedicine 1(2): 14-17. Kandel ER, Markram H, Matthews PM, Yuste R, Koch C (2013) Neuroscience thinks big. Nature Reviews Neuroscience 14: 659-664. Ewing GW (2015) A framework for a mathematical model of the autonomic nervous system and physiological systems using the neuroregulation of blood glucose as an example. J Comput Sci Syst Biol 8(2): 59-73. LeDoux JE, Brown R (2017) A higher-order theory of emotional consciousness. Proceedings of the National Academy of Sciences. Ewing GW, Parvez SH, Grakov IG (2011) Further observations on visual perception: The influence of pathologies upon the absorption of light and emission of bioluminescence. The Open Systems Biology Journal 4: 1-7. Ewing G (2016) What is the function of the Brain? What does it do and how does it do it? It functions as a neuroregulator, which continuously regulates the autonomic nervous system and physiological systems, and enables us to recognise that sleep exhibits the characteristics of a neurally regulated physiological system. J Neurol Psychol 4(2): 9. Ewing GW, Ewing EN, Hankey A (2007) Virtual scanning - Medical assessment and treatment. Journal of Alternative and Complementary Medicine 13(2): 271-286. Ewing GW, Parvez SH (2010) The multisystemic nature of diabetes mellitus: Genotype or phenotype? N Am J Med Sci 2(10): 444-456. Ewing GW (2009) A theoretical framework for photosensitivity: Evidence of systemic regulation. Journal of Computer Science and System Biology 2(6): 287-297. Ewing GW, Grakov IG (2015) A comparison of the aims and objectives of the human brain project with Grakov’s mathematical model of the autonomic nervous system (Strannik Technology). Enliven: Neurol Neurotech 1(1): 002. Ewing GW (2015) Back to basics: Limitations of research influencing the human brain project. Comput Sci Syst Biol 8: 322-326. Ciccone MM, Aquilano A, Cortese F, Scicchitano P, Sassara M (2010) Feasibility and effectiveness of a disease and care management model in the primary health care system for patients with heart failure and diabetes (Project Leonardo). Vasc Health Risk Management 6: 297-305.